Cheryl and Griffith Day, owners of Back in the Day Bakery. Next week, James Beard semi-finalists Cheryl and Griffith Day will make two stops in the Atlanta area to discuss their new cookbook, Back in the Day Made with Love. 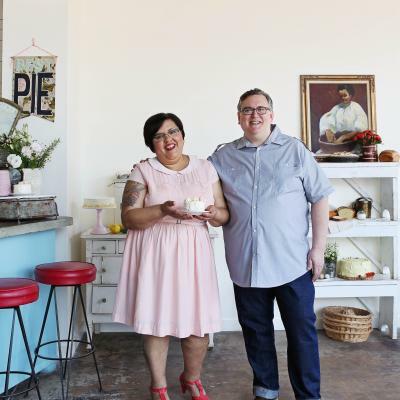 The Savannah-based bakers, who own the shop Back in the Day, are also New York Times bestselling authors known for scratch recipes ranging from breakfast to dessert, and everything in-between. The first book focused on vintage recipes and customer favorites like Old-Fashioned Cupcakes and Chocolate Heaven Cake. 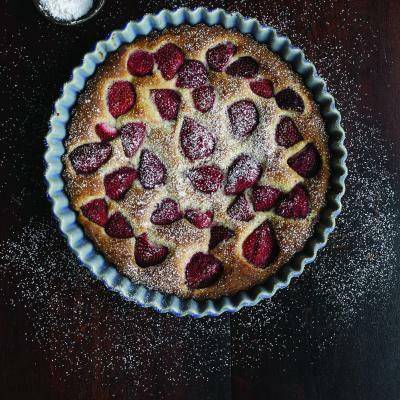 Made with Love features 100 new recipes, including staples like jam-filled buttermilk biscuits, pizza crust, and “everyday” cakes (current tease: the Apple Brandy Brown Butter-Glazed Cake). 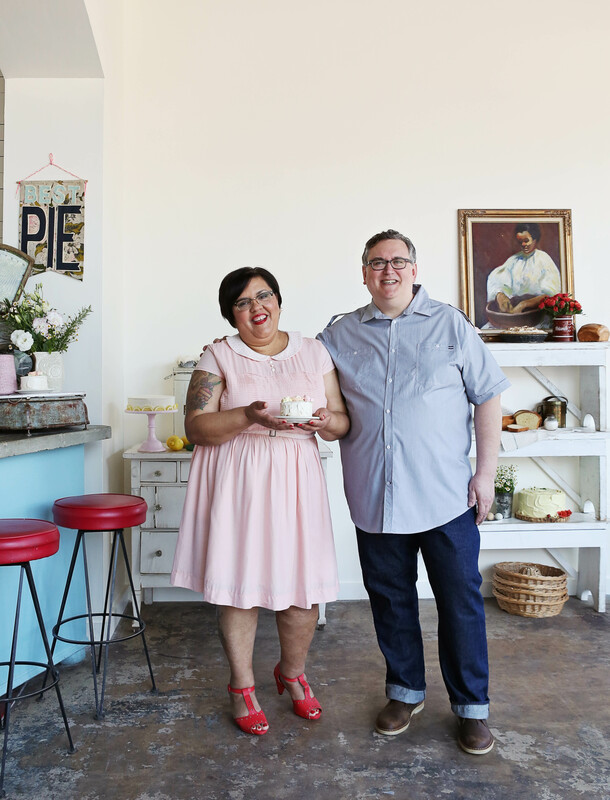 Griffith oversees the business of the bakery, and Cheryl says she’s the “chief creative officer.” I spoke with Cheryl about the new book and mastering her grandmother’s treats. What made you want to write a second cookbook? The Back in the Day Bakery Cookbook was more successful than we’d dreamed. On book tour, we talked to a lot of people, got their feedback, and we felt like we still had a story to tell. We love to teach; we want to keep our heritage recipes alive, and grow the art of scratch baking. The book has allowed us to have a larger audience. Has writing the books altered your perspective as a bakery owner? It’s definitely allowed me to see that we’re part of a renaissance that’s bringing the bakers back—specifically scratch bakers. We were named James Beard semi-finalists, which was the first time they had a category for baker in about 25 years. You’re from Los Angeles, Griffith is from Minnesota. How did you end up in Savannah? I was doing research, delving into my family history, and it led me to Savannah. I fell in love with it and decided to stay. Griff and I met in college in the Midwest. We’d reconnected in the mid-90s and he came to visit me in Savannah in 2000. He ended up moving here. What were both of you doing before opening Back in the Day? Griff was in web design and post-production, and he was always a musician (he used to be in a funk band!). I was in retail. I’ve always enjoyed customer service. All that folding clothes and visual merchandising has paid off! Made with Love feels like such a Southern book. Was that sensibility intentional? The only thing that was intentional was to be authentic, and I think that book truly is what we’re all about. I’ve always been this southern girl who lived in Southern California. I spent summers with my grandmother in Alabama, it’s how I learned to bake. 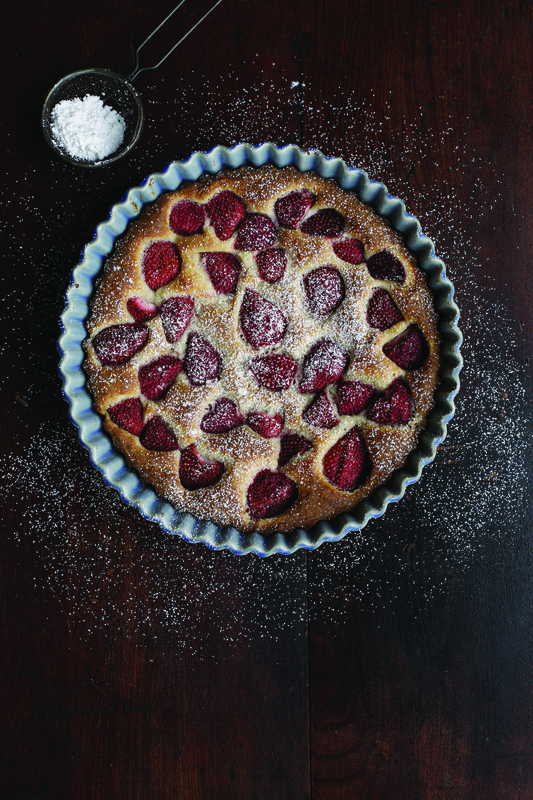 Tell us about the Strawberry Buttermilk Cake recipe. That cake to me is just simplicity—fresh, in-season ingredients. That’s what my grandmother really instilled in me; the backyard-to-table movement. The connection with Southern baking and Southern California is fresh ingredients and making things really simple. In the book, I talk about how my dad went to the grocery store every single store day when I was growing up, and it made me crazy then. But now I realize he was about buying things fresh. Is there a recipe of your grandmother’s that you still haven’t been able to replicate? I’ll be honest, there isn’t! I’ve had fear of it—I had a real fear of her lemon meringue pie [from the first cookbook]. But I have the luxury of being able to make things over and over again. The authors in conversation with Cake Pops author and Atlanta resident Angie Dudley. Q&A and book signing to follow. Tastes will be served. Event is first-come, first-served, but reservations are available at 404-373-6300. Meet the authors and taste their recipes. Single tickets are $50, or $75 per couple, and include a cocktail per person, passed hors d’oeuvres, and one signed book. For tickets and more information, visit http://www.brownpapertickets.com/event/1438513.